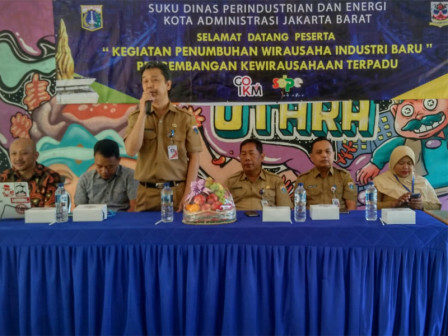 West Jakarta Industry and Energy (PE) Sub-department provides cooking (food and beverage) class, fashion class, and handicraft class for 160 residents of Kembangan Sub-district, Kebon Jeruk, Grogol Petamburan and Kalideres as a part of Integrated Entrepreneurship Development (PKT) program.
" This training is held for 4 days for each classes"
"This training is held for 4 days for each classes," stated West Jakarta PE Sub-department Head, Ery Ghazali. On the first day, they are motivated to be independent entrepreneurs. Then the next three days, they practice to make various foods and beverages, Muslim clothing (gamis), and handicrafts from patchwork.